They say that dog is “man’s best friend” but that’s not a sentiment that’s shared by all other animals. From monkeys to horses, we’ve all seen more than a few YouTube clips of various animals getting very chummy with humans. 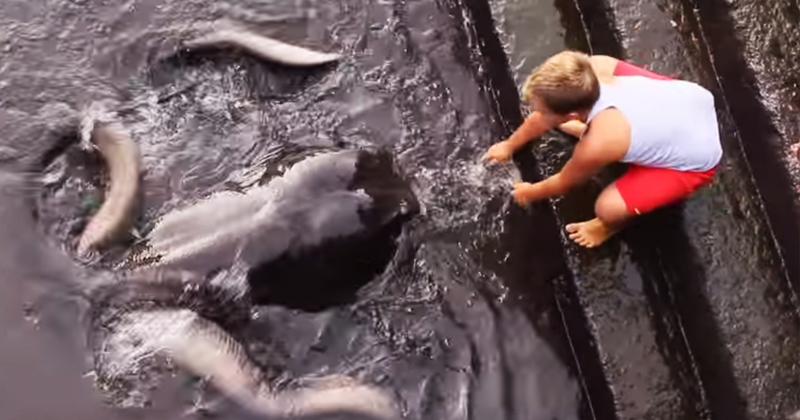 But here’s a very unusual one… the boy in this video has developed a special bond with a stingray! Stingrays are typically not aggressive but they’ve earned their name by having a poisonous stinger which they use when they feel their lives are being threatened. These guys like to hang out in shallow waters so make sure you don’t step on them! You wouldn’t step on your friends would you?